(Photo courtesy of The Church of Jesus Christ of Latter-day Saints) A sealing room in the Rome Italy Temple. Latter-day Saint culture is full of jokes, jabs and judgments about so-called “Utah Mormons” — how church members who live in the heart of the faith are somehow different than those who live everywhere else. New survey findings from writer-researcher Jana Riess show 10 ways that’s true. Patrick Mason, head of Mormon studies at Claremont Graduate University and soon to become the Arrington Chair of Mormon History and Culture at Utah State University, discusses why that may be the case. (Photo courtesy of The Church of Jesus Christ of Latter-day Saints) The Rome Italy Temple. When in Rome, devout Latter-day Saints may be adding one other must-see site to a list already teeming with world-class attractions. Besides the Colosseum, the Catacombs, St. Peter’s and the Pantheon, among other renowned Roman destinations, they’ll head to the northeastern part of the Eternal City to see or, starting this spring, attend their faith’s first Italian temple. This week, the Utah-based church invited the media and dignitaries to tour the 40,000-square-foot Rome Temple and released its first photos of the interior. Inspired by San Carlino, a Roman Catholic church in Rome, the temple, more than a decade in the making, will be dedicated March 10-12 after a public open house from Jan. 28 through Feb. 16. Ordinance work will begin March 19. (Photo courtesy of The Church of Jesus Christ of Latter-day Saints) Wendy Nelson Maxfield, daughter of church President Russell M. Nelson, died Friday, Jan. 11, 2019, after a battle with cancer. 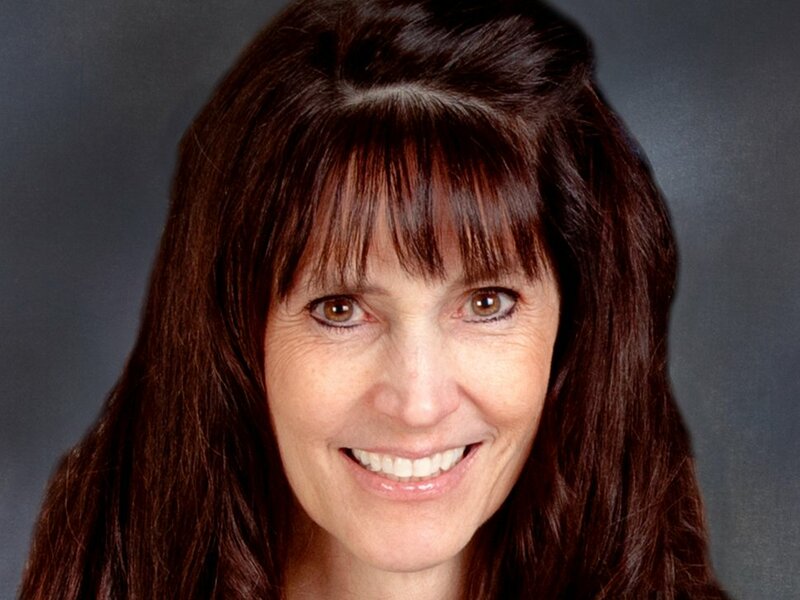 Wendy Nelson Maxfield, a daughter of church President Russell M. Nelson, died Jan. 11 after a battle with cancer. She was 67. Maxfield was married to Norman Maxfield. Together, the couple raised seven children and have 20 grandchildren. Maxfield is Nelson’s daughter from his first marriage. The Latter-day Saint leader and his first wife, Dantzel White Nelson, reared 10 children — nine daughters and one son — before her death in 2005. Nelson remarried in 2006, making Wendy L. Watson his wife. 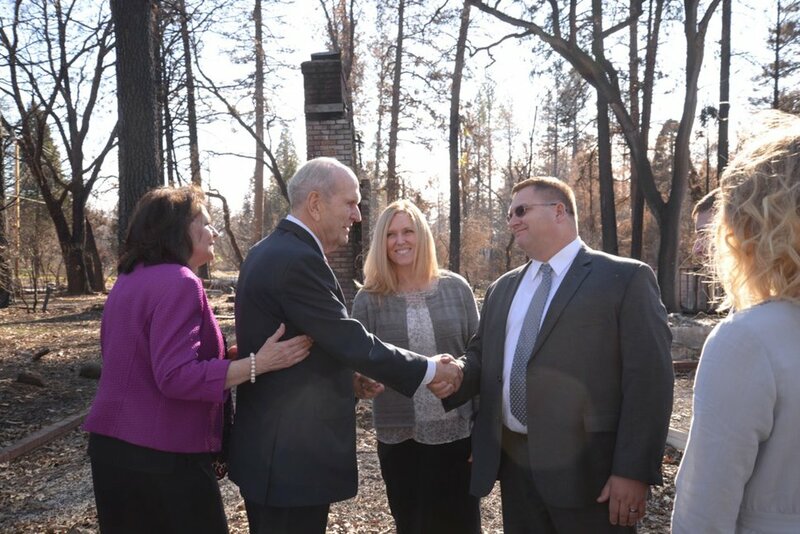 Two days after his daughter’s death, President Russell M. Nelson journeyed to Chico, Calif., to offer solace to those who had family, friends, homes and livelihoods snatched from them in last year’s deadly Camp Fire. The blazing-fast, wind-whipped inferno — termed “apocalyptic” by John Meyer, president of the Chico California Stake, in the release — killed more than 80 people and displaced tens of thousands, including 1,400 Latter-day Saints. In one Paradise, Calif., congregation, the church noted, 95 percent of the members lost their homes. 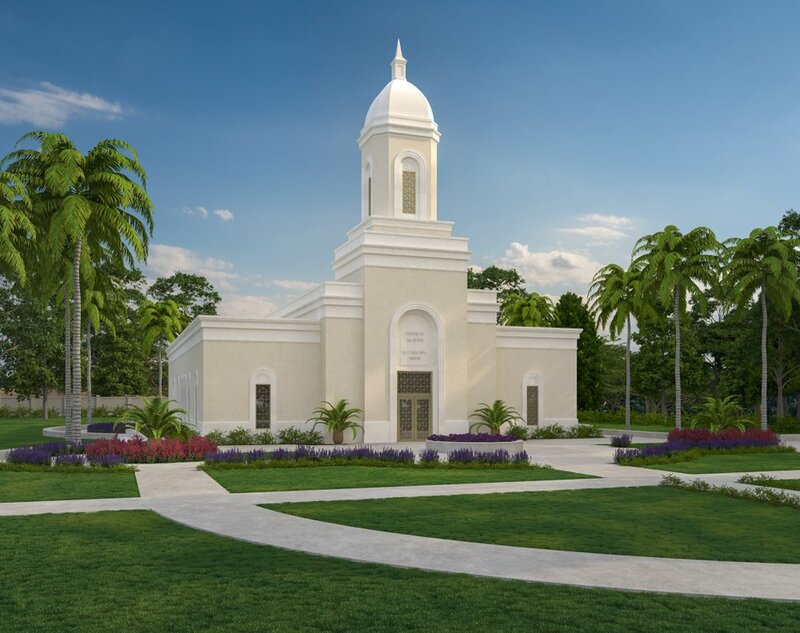 Temple news from the Pacific to Puerto Rico to the U.S.
(Photo courtesy of The Church of Jesus Christ of Latter-day Saints) Rendering of the San Juan Puerto Rico Temple. Barely three months after announcing plans to build a temple in Puerto Rico, the church released a rendering of the San Juan edifice. Construction of the single-story temple — sans an Angel Moroni statue — is expected to begin this year, according to a news release, and will wrap up in about two years. It will be the first Latter-day Saint temple on the hurricane-battered island, home to more than 23,000 members. In other temple news, the Memphis Temple will be rededicated May 5 followed by the Oklahoma City Temple on May 19 after both structures underwent renovations. Ground also was broken this week for the Urdaneta Temple in the Philippines. Originally announced in 2010, it will be the third temple in the country, joining those in Manila and Cebu. After two weeks, the newly shortened Sunday meeting block is getting high marks — at least anecdotally. More members are sticking around for the whole two hours, for instance, instead of skipping out after sacrament meeting. Not surprisingly, children are better able to handle the reduced Primary, since there is less time for them to get tired, hungry, cranky or bored. And, perhaps surprisingly, less church is actually resulting in more spiritual energy and engagement. There have been some bumps, of course. Read here to learn what members are seeing and saying about the new schedule. 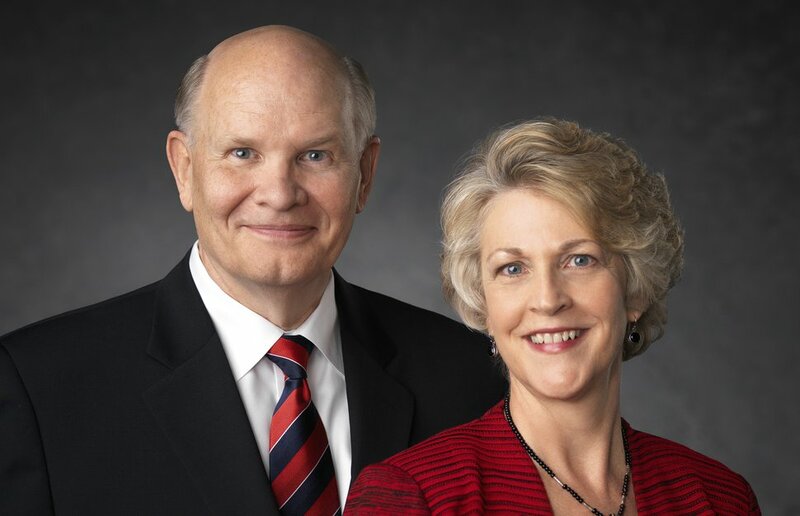 Like a Book of Mormon prophet, apostle Dale G. Renlund and his wife, Ruth Lybbert Renlund, have a message for the church’s young adults: Doubt not, but be believing. “Doubt is not and will never be the precursor of faith any more than light depends on darkness for its creation,” the apostle said during a global broadcast Sunday from Brigham Young University–Hawaii. (Photo courtesy of The Church of Jesus Christ of Latter-day Saints) Bob Woodward of The Washington Post (left to right), Elder D. Todd Christofferson of The Church of Jesus Christ of Latter-day Saints and Michael Dimock of the Pew Research Center discuss integrity and trust at an event held at the Newseum in Washington, D.C., Jan. 14, 2019. One was a hungry young reporter — hot on the scent of a political conspiracy that would topple a president — who would become the most famous journalist of his time. The other was an aspiring young law clerk — serving on the staff of a federal judge meting out justice in that scandal — who would rise to the apostleship in a global faith. This week, Bob Woodward, the legendary Washington Post reporter, and D. Todd Christofferson, a member of the Quorum of the Twelve Apostles, revisited the Watergate scandal that both played roles in exposing and the lessons they learned from it. 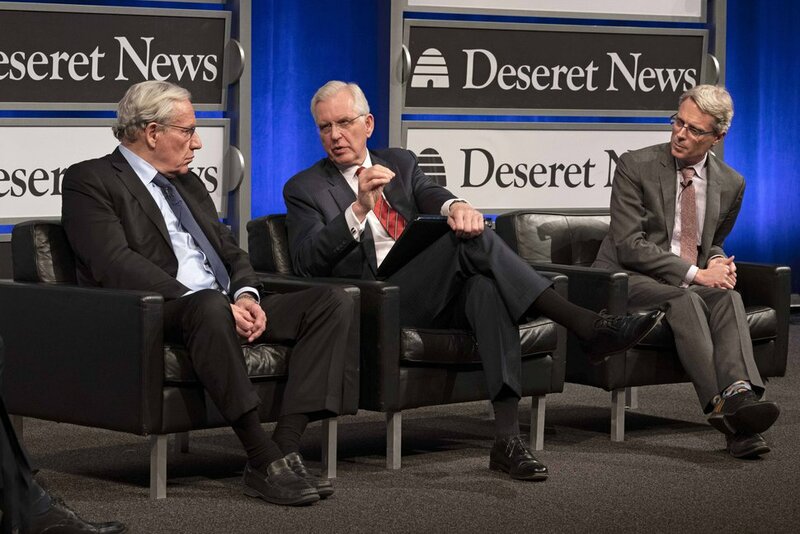 Meeting at Washington’s Newseum in a forum sponsored by the church-owned Deseret News, Christofferson said the episode left him “disappointed” in government, Religion News Service reported, yet determined to live an honorable life. Christofferson also spoke about Watergate and the fallen President Richard Nixon during a 2017 appearance at the University of Oxford in England. “There were many points along the way when Nixon ... could have called a halt, saying, 'This is not right, we will not continue, let the chips fall where they may,' and he might well have outlived the inevitable criticism and finished his term," Christofferson said then. "But he never did say stop. Instead, he got deeper into the cover-up conspiracy himself." 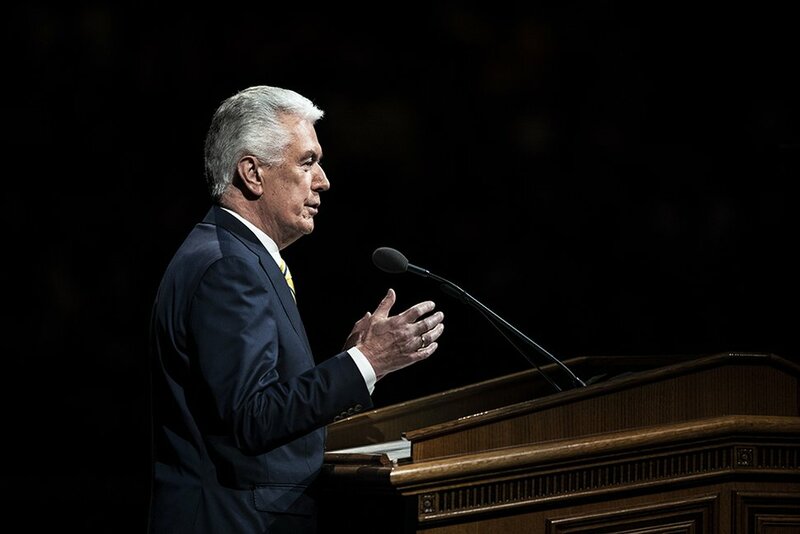 (Photo courtesy of The Church of Jesus Christ of Latter-day Saints) Elder Dieter F. Uchtdorf of the Quorum of the Twelve Apostles of The Church of Jesus Christ of Latter-day Saints addresses students and faculty at a devotional in the Marriott Center in Provo on Jan. 15, 2019.